Andreas Wöhler had an abrupt start to his career as a trainer when his father Adolf’s untimely death in 1986 forced him at the age of 24 to give up his studies and take over his Bremen yard. Andreas had a lot to live up to as his father was one of the most successful German trainers of the post-war period. Not all of his owners had enough faith in the young Wohler to leave their horses with him. Those who did not were swiftly proved wrong. Wöhler’s most outstanding early success was Lomitas. He won all his races as a juvenile in 1990 and followed up with three Group 1 victories the next year, including the Grosser Preis von Baden and the Europa Preis. Wöhler has won the German Derby three times, first with Pik Konig in 1992, then with Belenus in 1999 and more recently with Waldpark in 2011. His highest earning horse has been Silvano, who, like Belenus, is a son of Lomitas. Having already won two Group 2 events in Germany, in December 2000 Silvano began a 12-month international campaign in which he ran in Hong Kong three times, Singapore twice, America twice, Dubai and Australia. During that period he won two big prizes in the Far East and also became the first German-trained Grade 1 winner in the United States when he took the Arlington Million. After retiring with a career bankroll of over £1.5 million, Silvano went on to become a champion stallion in South Africa. Wöhler moved to his current yard at Gütersloh, between Dortmund and Hanover, in 1994 and currently has around 100 horses in his care. His star in 2013 was Novellist, winner of his last five career races which include four Group 1s – the Gran Premio del Jockey Club Italiano at San Siro, the Grand Prix de Saint-Cloud in Paris followed by a scintillating victory in the King George VI and Queen Elizabeth Stakes (sponsored by Betfair) at Ascot, race five in the Middle Distance division of the QIPCO Brtish Champions Series, when the four-year-old colt smashed the track record. He followed up in the Grosser-Preis Von Baden but was then sick just before the Arc and was retired. He also saddled Altano to finish third in the Artemis Goodwood Cup in the Long Distance division and on Arc Day Altano won the Group 1 Prix du Cadran. 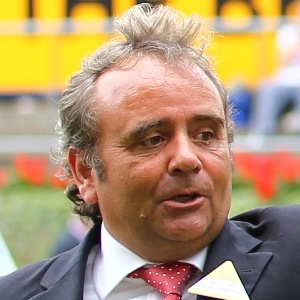 In all Wohler took six Group 1 contests in 2013.